We design and craft gas fire logs so authentic looking, they’re equally	beautiful with or without a fire burning. And for those seeking a more	contemporary look, Real Fyre also offers a wide range of stunning glass	and stone designs. Real Fyre brings you and your family all the warmth, comfort and beauty	you’d ever wish for from a hearth place fire, without any of the	drawbacks of wood burning fires. Simply put, you won’t find gas fireplace products more beautifully	designed and expertly engineered than Real Fyre. Many of our log designs	are individually hand painted by craftsman and artists who have been mastering	their artistry in our workshops for generations. Once you understand the many advantages of gas fireplace products, you’ll	be glad to know that Real Fyre offers more than 40 authentic styles of	gas log sets, each exceptional beautiful, with or without the fire burning. And our beauty is not just skin deep. 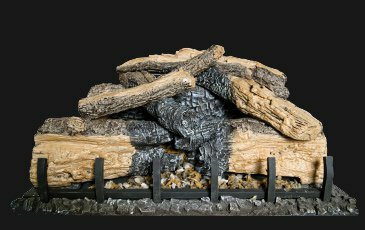 Beyond being the most realistic	looking gas logs you can buy, Real Fyre gas fireplace products are also	made of the finest materials and engineered to last. Our unique process means a better fire from a log set that lasts longer. Greater Compressive Strength allows for finer surface detailing and longer lasting logs. Higher Bulk Density provides more radiant heat, both while burning and after the fire is off. Better Rheology (Flow Rate) means a better log texture with fewer “bug holes” and greater	log strength. 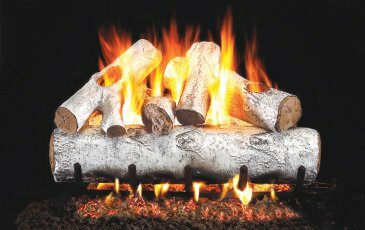 Higher Tenacity gives Real Fyre logs the ability to withstand higher heat over a longer	period of time. The material used in Real Fyre logs has a higher Pyrometric	Cone Equivalent (PCE) of 2650 degrees which means Real Fyre logs won’t	break down. Lower Iron Content assures that Real Fyre logs are less prone to oxidation, which over time	changes the color of the log. Steel Reinforcing Rods provide a higher degree of structural integrity for year and years of	ageless beauty. The warmth and beauty of a fire has always been a source of comfort, security	and joy. Being able to enjoy that at the touch of a button, without hauling	and storing firewood or cleaning up messy ashes, makes the pleasure completely	hassle free. Gas fires also save money and are less harmful to the environment than	wood burning fires. All the beauty of a fire with none of the nuisances. What could be better than that? Gas fires offer a stunning, realistic fire that can rival wood-burning	fires in appearance. A wide range of wood varieties are available, as	well as many spectacular contemporary glass and stone styles. So you can	get the exact look you want. Gas fire products are generally inexpensive to buy and install. They cost	about one fourth of what it costs to burn wood. 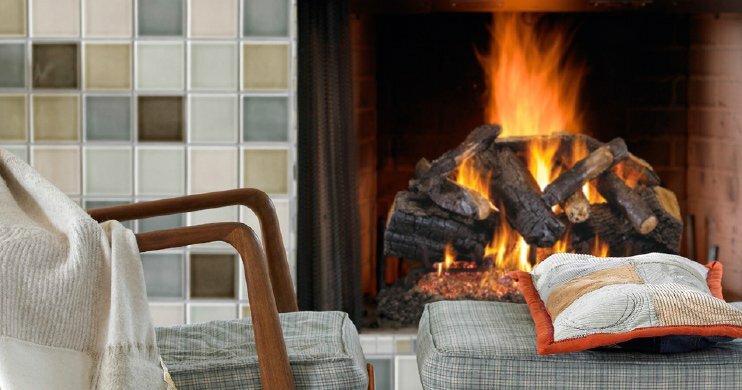 Some gas fireplaces are	more than 99 percent efficient. Gas fires provide instant enjoyment. With the touch of a button, the fireplace	turns on and off. There’s no need to purchase, store and season	wood, or clean up and dispose of messy ashes. Gas fires prevent flying sparks – common with wood fires –	that might burn a rug or cause other damage. They don’t create indoor	particulate matter that is harmful to asthmatics and those with respiratory issues. Burning gas versus wood helps keep our air clean by eliminating harmful	particulate matter in the air outside.